National Geographic's Traveller magazine listed Kerala in the 'Ten Paradises of the World' and '50 must visit places of a lifetime'. Being a coastal region rich in greenery and with a unique culture, the state has attracted tourists from across the globe since time immemorial. But more often than not, tourists are finding themselves grappling with situations wherein they are unable to choose their destinations or struggle to get proper accommodation owing to shortage of local information and such other hassles. Keralatravels.com aims at making everything pertaining to travel&tourism easy for travel enthusiasts who come to Kerala. The site comprises information on a range of topics: the destination, conveyance options, accommodation, weather, local specialities and what not. 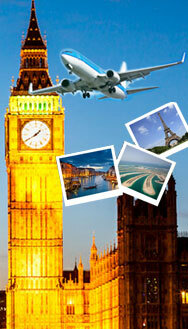 One need not look further than this website to equip oneself for a most delightful vacation! Often, those wishing to go on a holiday would like prior information on the distance, accessibility and climate of the place they wish to travel to. 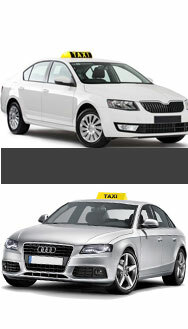 One would also like to have a look at various options for celebrating a holiday. Kerala travels.com covers it all. The site provides detailed information on house boating, kerala cuisine, health packages, ayurvedic treatment, wildlife tourism, adventure & eco travel, pilgrimage destinations etc, covering all resources that are available across the state. Kerala tourism is increasing at a high alarming rate. We can see thousands of tourist flowing to Kerala yearly. Known for the scenic beauty, natural beauty and other attractions, Kerala tourism never had to look back ever in its growth. Kerala is known for its densely forested mountain ranges comprising the Western Ghats and covering tropical evergreen, deciduous and semi-deciduous jungles that are home to some rare, exotic plant life and wildlife species. These hill stations and high range zones are the favourite haunts of nature and wildlife enthusiasts. The high and rugged Western Ghats endow the state with a number of Hillstations, which unlike the rest of the state have a high rate of tourist influx during the summer months. On these hill slopes are cultivated expansive stretches of coffee, tea, rubber and fragrant spices such as cardamom, pepper and clove. Kerala tourism promotes long chain of lush, mid-clad hill stations that are home to exotic wildlife. 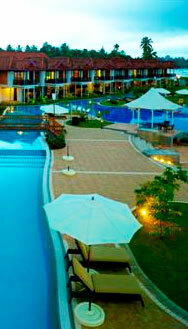 Kerala offer the most enchanting experience of nature in all its virgin beauty. Kerala Tourism has its hills which offer pleasant and pleasurable diversions that range from going on hiking, biking, trekking and hill climbing tours to wildlife safaris to the numerous wildlife sanctuaries located on the Kerala hills in Kerala. The amazing destination, Kerala, is blessed with its scenic beauty wrapped with green nature. The 'God's Own Country' will be the best stop to be away from the hustles and bustles of your life. One who are at Kerala, can never miss the magical experience of the hill stations in Kerala. The hills, covered with mist will welcome you, the cool air will surround you and the mild atmosphere will make you experience the heaven on earth. Wayanad is a place where you can see green and green around. The lush green forest, the soothing waterfalls, the untouched nature are the peculiarities of Wayanad. Come and hide your worries at the lap of nature and make yourself cherished. 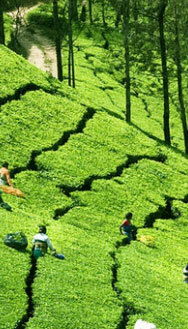 Munnar has a special place in the tourism map of Kerala. One of the most visited hillstations of Kerala, Munnar with its beautiful rolling hills and enchanting environment will definitely lure you. A chilled experience is what that you will get in Munnar. Munnar has the best accommodation facilities with numerous resorts, hotels and homestays that will make your trip more memorable. Thekkady is another destination in Kerala, which you can never miss to visit. A boating at Periyar lake, a trekking to the wildlife sanctuary, the beautiful sights of mist covered hillocks etc will make you refreshed and rejuvenated. Explore the unexplored destinations at Thekkady. Vagamon is also another beautiful hillstation rich with its enthralling beauty. Pine Forest, Kurishumala, the Rolling Meadows are some few which will attracts you to Vagamon. God’s Own Country of Kerala is a much sought after tourist destination of India. Kerala is not only known for its hill stations, backwaters and the scenic beauty but also for its beaches. After Goa, Kerala is said to have most of the beaches in India hence making it a beach destination. From the south of Kerala, at Thiruvananthapuram to the north at Kannur, Kerala has got umpteen numbers of beaches gracing its landscape. Some of the popular beaches in Kerala include Alappuzha Beach, Varkala Beach, Marari Beach, Kovalam, Shankumugham Beach etc. Beaches hold a special place in the history of Kerala. According to a legend, it is believed that the waters of the Papanasam Beach at Varkala, Thiruvananthapuram washes away all your sins (papam). The main bell of the 2,000 year old Janardhana Temple is said to have been presented by the Dutch Captain of a 17th century ship. The iconic moment of the Portuguese explorer Vasco Da Gama’s arrival at the Kappad Beach, Kozhikode is also an important point in history. It was then that the sea trade route from Europe to India was opened. The beach was earlier visited by Marco Polo and Ibn Battuta. The long coastline of Kerala is filled with multiple cultures, lives and traditions. From the local fishermen to the international tourists, each of the beaches especially the beaches of Kovalam, Marari and Varkala, is always filled and is full of energy. All the beaches of Kerala offers you a unique and one of a kind experience lasting a lifetime. Kerala's backwaters is the most popular tourist attraction of Kerala which enhance the Kerala Tourism to a large scale. Backwater tourism is centered mostly around Alappuzha, Kollam and Kumarakom. Boat races held during festival seasons are also a major tourist attraction which is also a great promoter of Kerala tourism. Kerala tourism is rich with mirror still lagoons, picture book lakesides, palm fringed canals, shores bustling with glimpses from day to day life in the country side. Throughout the world, Kerala beaches are renowned for their breathtaking beauty. The backwaters have turned out to be a boon for the tourism industry, offering heavenly houseboat cruises to the visitors, reaping significant revenue to the Kerala tourism. The backwaters form a gateway for the tourists to get a first hand feel of the unhurried pace of life in the remote hamlets. Scenes from the rural life unfold as one witnesses the locals engaged in boat building, prawn breeding, rice farming, duck rearing, sand mining, coir making, basket weaving etc – all of which form refreshingly fascinating sights, far removed from the madding crowd, for any urban visitor. Kerala tourism attracts domestic as well as foreign tourists in a very huge number. The backwaters of Kerala are indeed storehouses of nature at its best. Kerala houseboats on the pristine waters are remarkable and a houseboat cruise can prove to be a relaxing and rejuvenating experience. Kerala's backwaters is the most popular tourist attraction of Kerala which enhance the Kerala Tourism to a large scale. Rich with mirror still lagoons, picture book lakesides, palm fringed canals etc, Kerala have so much to offer to the tourists who visits this beautiful place. Kerala backwaters is a boon to the tourism industry, offering heavenly houseboat cruises to the visitors, reaping significant revenue to the Kerala tourism. Backwater tourism is centered mostly around Alappuzha, Kollam and Kumarakom. The backwaters form a gateway for the tourists to get a first hand feel of the unhurried pace of life in the remote hamlets. Alappuzha is always known for backwaters. 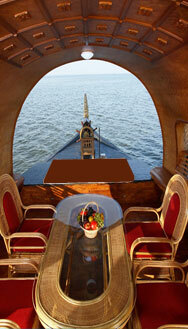 A houseboat cruise at Alappuzha backwaters is a refreshing experience. Kumarakom is one of the most wanted backwater destination in Kerala. A trip through these backwaters will make your mind calm and cool. Kerala houseboats are traditional kettuvallams, which attracts both national and international tourists. These backwaters are also famous for boat races. The Nehru Trophy Boat race is organised yearly at Punnamada Lake near Alappuzha, which attracts hundreds and thousands of visitors to the venue. The rich culture of Kerala makes Kerala such an important tourist destination in the country. Be it the monuments, festivals, music & dance forms, cuisine - they are all intrinsically related to Kerala's culture. Kerala, a lovely state of swaying palms and surf washed beaches is the home of several dance, music and arts forms some of which have originated in the region and some of which have been adopted from other areas and, over the centuries transformed into a local expression typical to Kerala. As quoted by Cosmopolitan, Kerala is one of the ten love nests in India. Most of these are unique to the land and reflect the love for life of its people. The state has seen the rise of many renowned writers, poets, philosophers, educationists, reformists and social activists throughout its history. Similarly, there are quite a few noted and eminent personalities who have contributed to the spheres of Malayalam cinema, music and art. Kerala is home to some of the popular performing arts like Kathakali, Mohiniyattam, Thullal and so on as well as the martial art form of Kalaripayattu. Different facets of Kerala culture unfold during the numerous festival celebrations that are made part of the tourist travel itinerary. The rich culture of Kerala makes Kerala such an important tourist destination in the country. Be it the monuments, festivals, music & dance forms, cuisine ­ they are all intrinsically related to Kerala's culture. Kerala festivals are always a mixture of the rich tradition and culture. The festivals are a venue for celebrations, social gatherings and religious beliefs. There are temple festivals, church festivals and mosque festivals. All these brings happiness and cheerfulness in people's mind. Among the vatious festivals some are Onam, Vishu, Christmas, Bakrid, Easter, Muharram, Navaratri festival etc. Kerala is also famous for its various music and dance forms. Kerala arts always attracts both domestic and international tourists. The state is well known for its classical arts, folk arts, temple music, mural arts etc. Kathakali, Mohiniyattam, Theyyam, Margam Kali, Oppana etc are some of the art forms of Kerala. Kerala recipes are the one which every tourists will wish to have. These traditional dishes will definitely fill your gourmet. Kerala is famous both vegetarian and non­-vegetarian dishes. You can have a traditional sadhya in plantain leaf or go for special fish recipes like Mango fish curry, Naimeen soup etc. Also try something like Ulli Theyal, Chirattu Puttu and have a nice culinary experience. One of the many fascinating experiences for visitors to Kerala is without doubt the Home Stays. These homestays are literally home away from home, allowing you to get close with the host family and the community that lives in an area. Home stays provide a first hand experience for tourists to enjoy the rural life, the ethnic cuisine and local culture of the state. The guests stay with the local people who play host to the tourists, eating with them and learning from them their culture and lifestyle. They also get a taste of the hospitality of the residents. This concept is mutually beneficial to both parties, contributing a healthy revenue to the industry. Tucked away in misty plantation hills, amidst cool coconut groves, circled by backwaters, by the side of sun drenched beaches or in villages with distinct characteristics; home stays in Kerala offer you one of the most favoured means by visitors to enjoy and experience the culture, lifestyle and flavours of the land and its people. Kerala homestays create distinctive, authentic and comfortable accommodation for the tourists, that comes with value added service at tourist-friendly rates. As a concept and as an operational model the redistributive, cost effective, eco-friendly and people to people dimensions of modem tourism is expected to promote home stay tourism. At a homestay, the guests freely mingle with the owners, eat homemade food, engage in indigenous tasks like farming and cooking, and share knowledge on their culture, cuisine and way of life with the locals, thereby enriching and enlivening each other’s knowledge base and gamut of experiences. A home away from home...This is what a homestay offers you. One of the many fascinating experiences for visitors to Kerala is without doubt the Kerala Home Stays. These homestays are usually houses of Keralites that have been let out on rent for the use of tourists and travelers wanting to visit the tourist attractions in the state . Homestays allow you to get close with the host family and the community that lives in an area. They provide a first hand experience for tourists to enjoy the rural life, the ethnic cuisine and local culture of the state and at the same time it will also help the local people to earn bread from the tourism industry. Each and every destination in Kerala provides homestays for the tourism. There are homestays in Munnar, Wayand, Thekkady, Vagamon etc. Here the guests stay with the local people who play host to the tourists, eating with them and learning from them their culture and lifestyle. They also get a taste of the hospitality of the residents. This concept is mutually beneficial to both parties, contributing a healthy revenue to the industry. The home stay mechanism rightly fits into the needs of tourists and brings synergic results into the tourism sector. The home stays have modem accommodation facilities, eco­friendly environment and homely hospitality to offer to any tourist. Kerala homestays create distinctive, authentic and comfortable accommodation for the tourists, that comes with value added service at tourist­ friendly rates. As a concept and as an operational model the redistributive, cost effective, eco­friendly and people to people dimensions of modem tourism is expected to promote home stay tourism. Kerala holds a big platform for Medical Tourism. Kerala has an immense potential to develop the scope of health tourism in the country. It can become the hub and one of the most preferred destinations in the world for potential health tourists. Kerala is usually marketed as a health destination for its Allopathy, Ayurveda, Dental packages. Kerala has become an excellent brand by itself in thehealth tourism sector either because of its reputation in modern as well as traditional systems of treatment like ayurveda, yoga, meditation and homoeopathy or its cost effectiveness. Kerala is popular amongst medical tourists for a number of reasons. Aside from providing high-quality medical care for low prices, the area is relatively easy to access and boasts a temperate climate year round. Visitors will be able to communicate easily with their doctors and the public and will have the finest amenities available, both in the hospital and in their hotels. Kerala is famous for its alternative medical therapies such as Ayurveda, which help to rejuvenate and revitalize the body. What many tourists have now discovered is that Kerala has a pool of trained doctors and nurses and an excellent network of hospitals that offer international standard treatments at very affordable prices. The demand for medical treatment and surgery in Kerala is increasing especially in the Gulf and Europe. The NRIs who prefer treatment in their home country,are playing a significant role in this regard. Several MNCs offer medical treatment options to employees and families at cost effective rates. What with soaring health care costs and long waits for medical procedures in the West, it is becoming increasingly difficult to find quality, affordable treatment there. India and especially Kerala is emerging as a major medical tourism destination. Indian doctors have established themselves as highly skilled and conscientious caregivers worldwide. Kerala Tourism offers tour packages that combine medical treatment with a restful holiday in Kerala India. The world-class hospital facilities, pre and post-operative care and pleasant climate make your medical treatment and recovery in Kerala a positive experience. Some Medical Tourism options in Kerala are given below. The few nationally and internationally accredited hospitals in the state are doing brisk business, with foreign nationals making a beeline for procedures like knee replacement, weight reduction surgery, liver transplant, cardiac care, ophthalmic care and dentistry. There are many leading hospitals, speciality centers, medical institutions of excellence, clinics, combined with large Ayurvedic hospitals as well as Siddha, Unani, Naturopathy ,Allopathy medical practices. Many hospitals in Kerala are of international standards and provide excellent medical care. Medical tourism in Kerala seems to have a steep rise in the coming days. There has been an 18 percent growth in the arrival of foreign tourists in Kerala seeking medical tourism which is expected to go up to a higher percentage in the coming years. Kerala holds a Big platform for Medical Tourism. Kerala has an immense potential to develop the scope of health tourism in the country. It can become the hub and one of the most preferred destinations in the world for potential health tourists. Kerala is usually marketed as a health destination for its Allopathy, Ayurveda, Dental packages. Kerala has become an excellent brand by itself in the health tourism sector either because of its reputation in modern as well as traditional systems of treatment like ayurveda, yoga, meditation and homoeopathy or its cost effectiveness. Kerala is popular amongst medical tourists for a number of reasons. Aside from providing high- quality medical care for low prices, the area is relatively easy to access and boasts a temperate climate year round. Visitors will be able to communicate easily with their doctors and the public and will have the finest amenities available, both in the hospital and in their hotels. Kerala is famous for its alternative medical therapies such as Ayurveda, which help to rejuvenate and revitalize the body. Many tourists visits Kerala in search of Ayurvedic or traditional treatments in Kerala. You can find many ayurvedic centres here along with resorts or hotels providing special ayurvedic massages. What many tourists have now discovered is that Kerala has a pool of trained doctors and nurses and an excellent network of hospitals that offer international standard treatments at very affordable prices. The demand for medical treatment and surgery in Kerala is increasing especially in the gulf and Europe. The NRIs who prefer treatment in their home country, are playing a significant role in this regard. Several MNCs offer medical treatment options to employees and families at cost effective rates. What with soaring health care costs and long waits for medical procedures in the West, it is becoming increasingly difficult to find quality, affordable treatment there. India and especially Kerala is emerging as a major medical tourism destination. Kerala Tourism offers tour packages that combine medical treatment with a restful holiday in Kerala India. The world­class hospital facilities, pre and post­operative care and pleasant climate make your medical treatment and recovery in Kerala a positive experience. Some Medical Tourism options in Kerala are given below. There are many leading hospitals, speciality centers, medical institutions of excellence, clinics, combined with large Ayurvedic hospitals as well as Siddha, Unani, Naturopathy, Allopathy medical practices. Many hospitals in Kerala are of international standards and provide excellent medical care. Medical tourism in Kerala seems to have a steep rise in the coming days.There has been an 18 percent growth in the arrival of foreign tourists in Kerala seeking medical tourism which is expected to go up to a higher percentage in the coming years.